The shocks on your car are an important component so that you have a smooth ride while on the road. There are a few signs to look for if you suspect that your shocks need to be replaced or repaired. 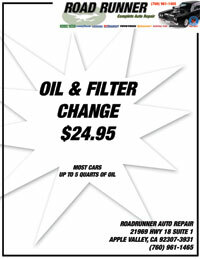 Road Runner Auto Care in Apple Valley can examine the shocks and struts to determine the extent of the damage present and if there are any other parts that need to be repaired as well as issues with the shocks can often impact the tires and other front-end components as well. When you drive your vehicle, you will begin to notice exactly what it feels like on the road. Some vehicles have a tighter suspension that results in a stiffer ride while other vehicles have a looser suspension that means more absorbance while driving. If there are issues with the shocks on your car, then you will begin to notice a difference in how your vehicle feels as it could be loose when it should be tight and vice versa. 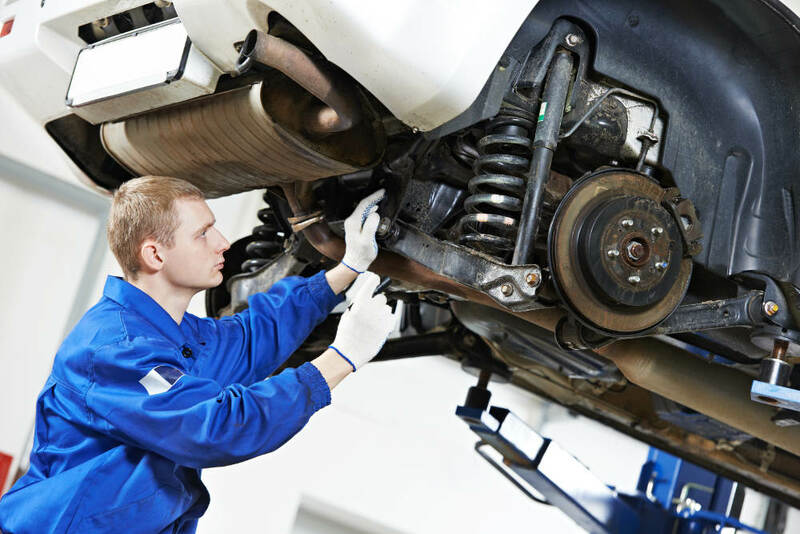 When you begin to feel these differences, Road Runner Auto Care in Apple Valley can examine your shocks to make any repairs needed before they are worn to the point where they can only be replaced. A mechanic can also look to see what could have caused the damage to your shocks so that it doesn’t happen in the future. One of the common signs of shocks that are going bad is nose diving when you brake in the vehicle. The front of the vehicle will begin to settle to the ground when it should remain level with the rest of the vehicle. Other signs of shocks that are bad include a leaning feeling while you’re turning the vehicle or going around a curve and damage to the inner side of your front tires.